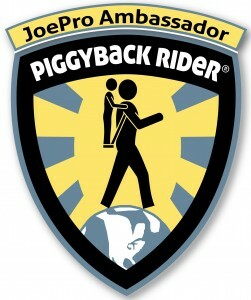 The Piggyback Rider® Pro Team JoePro’s are a mix of professionals that are fathers (Pros) and everyday dads (Joes) that serve as Ambassadors for the Piggyback Rider – an innovative child carrier that promotes active outdoors transport for parents with toddlers. “Our aim is to create a select pro team of dads who embrace the mission of sharing their outdoor experiences with their children,” said Wayne Lifshitz, co-inventor of the Piggyback Rider®. 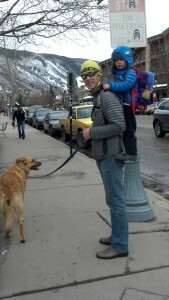 The Piggyback Rider® is a mutually enjoyable, effortless way to carry a child (2½+ years) on your back. It functions like a backpack, utilizing a shoulder-mounted foot-bar to distribute the child’s weight at your core, enabling a more natural and upright walking posture. The child stands safely on the wide textured foot-bar, holding integrated shoulder handles and secured to the adult by a safety harness. Built from industry leading climbing components and over-engineered for safety, the Piggyback Rider® is unlike any kid carrier you’ve ever seen. Brief bio Steve and Erica Lineberry are avid rock climbers who spend the majority of their weekends scaling cliffs by day and sleeping under the stars by night. They are both firm believers that starting a family does not mean the end to an active, adventurous lifestyle. 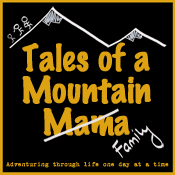 From hiking to biking to climbing to camping, the Lineberrys see life as a series of adventures big and small…sometimes it’s a hard-fought-after summit, and other times it’s enjoying a romp in the leaves with their 3 year old son in the backyard. Favorite childhood memory Growing up together, Steve and Erica could be described as childhood sweethearts! Both have very fond memories of summers spent at youth group camp. What’s your basic philosophy? Live, laugh, love. What do you do for fun? 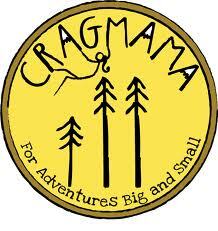 Climb, bike, hike, run, yoga, camp, explore. Why I applied for the JoePro Team? We think the Piggyback Rider is the perfect tool for that difficult transitional period between the kid-carrier and kid-hiker stages. 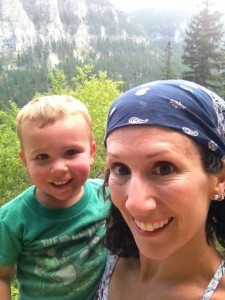 Our 3 year old loves to hike, but when he’s done…he’s DONE! The piggyback rider allows for maximal enjoyment AND comfort – which means minimal complaining from everyone! What’s your basic philosophy? Treat others the way that you would like to be treated. What do you do for fun? Play in the backyard with my kids! Why I applied for the JoePro Team? 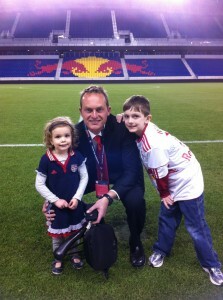 Loved the product and it gives me the opportunity to do things with my kids…and keep my back healthy while doing it! Jake Norton’s life has revolved around the mountains. His first real climb- Mount Rainier – in 1986 when he was 12, taught Jake that the mountains were his calling. Since then, he has worked as a professional mountain guide and photographer, taking clients up peaks around the world and creating images for top publications. Jake’s expeditions have taken him to the summits of five of the Seven Summits (Everest, Aconcagua, McKinley, Kilimanjaro, and Vinson). Website Broadcaster. Guinness World Record Holder. BloggerI’m a Dad. Broadcaster. Writer. Media Disruptor. My real job is radio host on a classic hits station. I’ve been in radio 22 years. 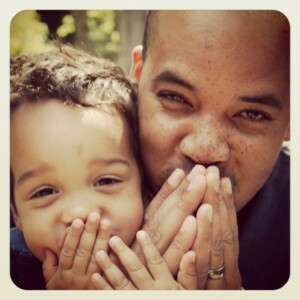 My other job is blogging about tech stuff for Future Shop and Dad’s stuff for Babble. My kids are Zacharie and Charlie, and I spend every weekend getting out and chasing it with them. What’s your basic philosophy? Philosophy: dont break the kid. What do you do for fun? I run for fun, play poker, or I spend time with my boys. Chunky or smooth (peanut butter)? Smooth peanut butter. Why I applied for the JoePro Team? I wanted to involve Charlie in our Dadventures more. He’s younger and can’t keep up, this will get him on pace with everyone else. 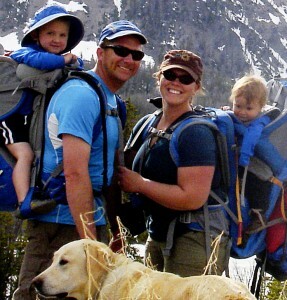 Brief bio I am a man dedicated to my wife and two boys and the outdoor life we live and love. I work for Yellowstone National Park in the Wildland Fire department, and ride my bike everywhere I can. I wish I had more time in the day to explore and spend time with my family, but take advantage of every moment. My bucket list is long and diverse. Chocolate chip cookies are my favorite. Least used piece of gear that you should use more often My backcountry skis aren’t getting as MUCH use as they did before kids, so wish it were more, but they are still used! What’s your basic philosophy? Work hard, play hard, laugh a lot. What do you do for fun? Hike, Run, Bike, Ski, and Camp/travel. Why I applied for the JoePro Team? I love being active with my kids and I think the Piggyback Rider can help bridge the gap between kid in a backpack and kid hiking long distances on their own. Wanted to be able to show it off! 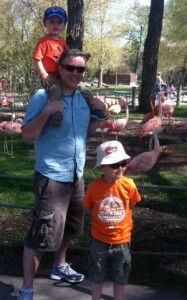 Brief bio I am a father of 2 (5 and 2.5), and I teach Special Education outside of Seattle. Favorite childhood memory I have memories of being young and playing in the dirt, in the field, and on our bikes with my best friend from Sun-up to Sun-down. Favorite place next to my wife. I know its cheesy-sunding, but I enjoy knowing that wherever WE are, is home. Favorite toy/game Xbox Kinect. Itis one of the few times I can play with my kids and i dont have to try to let them win. Most used piece of gear we use our bike trailer/double stroller most often when tooling around town or going down to Starbucks. Least used piece of gear that you should use more ooftentimes warmer Wipes warmer and bike seat. What’s your basic philosophy Talk is cheap. My challenge to parents, and to myself, is not to teach my kids about the kind of person I hope them to become one day, but to become that person today. What do you do for fun? Sleep… Seriously though, I have the most fun wwhen’s have a chance to play with my kids, but I can be so tired that I fall asleep while wrestling them. What would be your chosen superpower? Telepathy – Professor X was confined to a wheelchair, but was still one of the most powerful individuals in comics. Why I applied for the JoePro Team? My wife loves outdoor activities, and I do to, but I did this so I could be the one to initiate family outings, which I know she will appreciate.